St Chris United, Rovers and Athletic competed in this year’s BSME Football Tournament. With 15 teams entering from across the Gulf, and each match lasting 17 minutes, it was always going to be a tough tournament. Both Rovers and Athletic fought hard to the end, with Rovers barely missing out on the semi-finals. 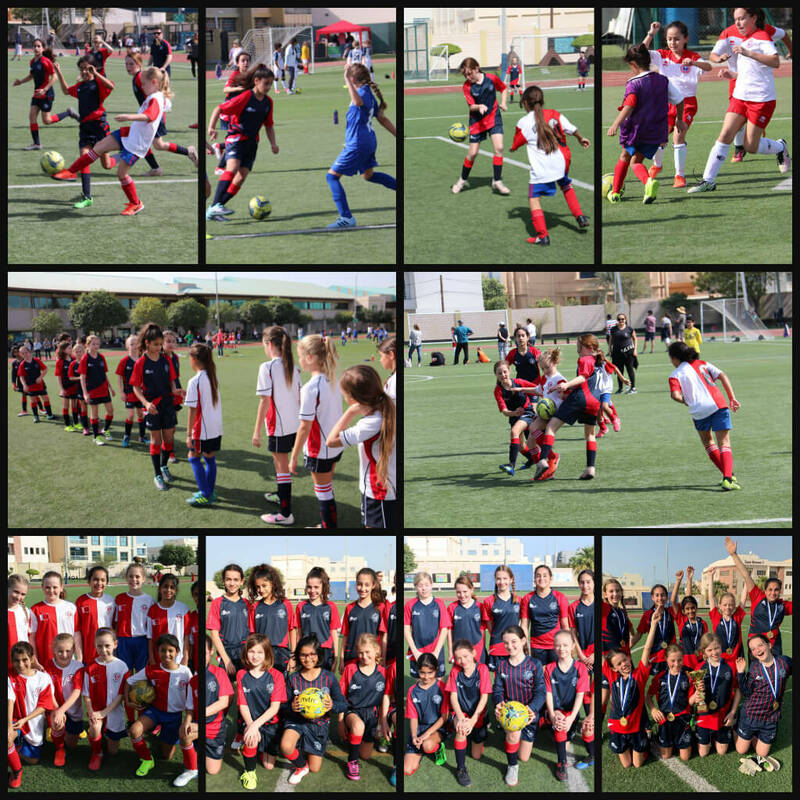 United entered the semi-finals undefeated and continued their unbeaten record until they finished the tournament 2019 Girls’ BSME Football Champions! A special mention goes to Hanna Hevesy who was the highest scorer in the entire tournament, getting two hat tricks in the final! Well done girls!